For “#8 (Noise Body Series)”, artist Paula Garcia sat motionless on a chair in a white gallery space in a meditative state for over five hours. 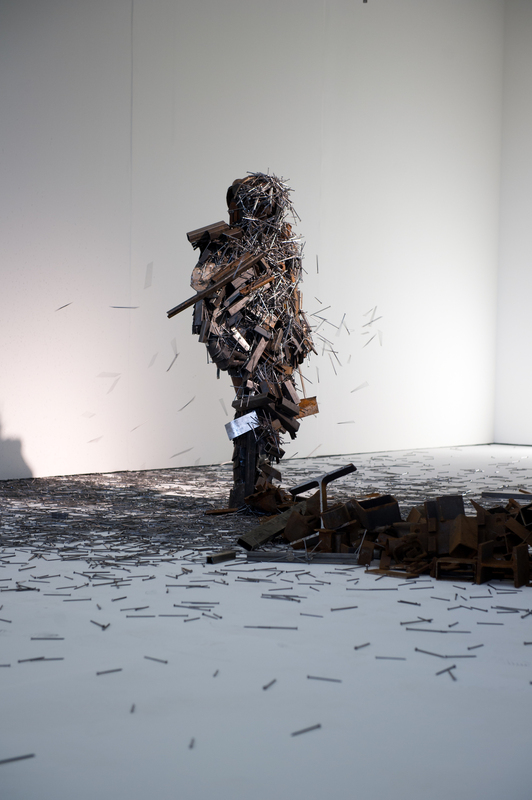 In front of the artist lay carefully placed iron scrap metal, as well as a pile of long metal nails. 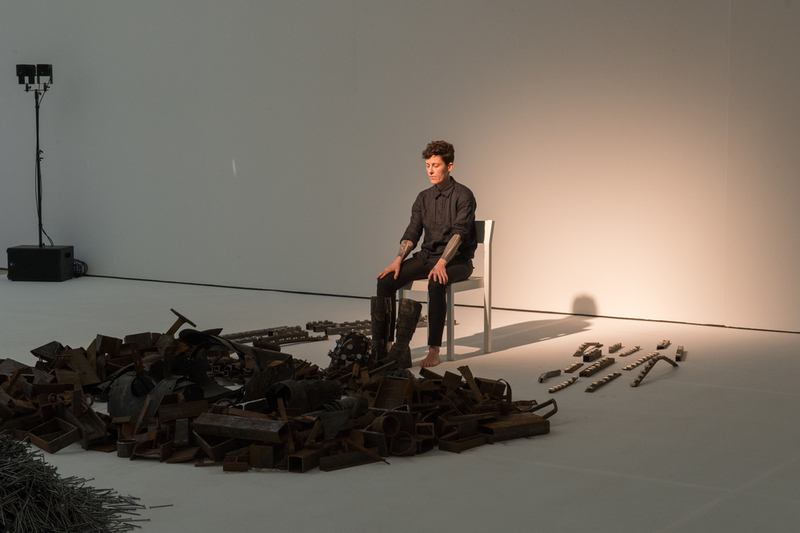 At the beginning of the sixth hour of the performance, four male performers dressed in black entered the gallery space and helped Garcia get into armor made entirely of magnets. When the armor was locked onto her body, the four men proceeded to take some of the bigger pieces of metal off the floor and attach them to Garcia’s armored body. They then took positions by the pile of nails and proceeded to throw nails violently at the artist until she was completely covered and unrecognizable. The impact of the metal hitting the armor vibrated through Garcia's entire body. After they had covered the surface of the armor with as much metal as possible, the performers walked over to Garcia and began pulling the metal pieces off one by one until the armor and the artist were uncovered and identifiable again. The armor was removed and the artist sat again in the chair, motionless, scraps of metal now scattered around her on the white gallery floors. “'Corpo Ruído,'" meaning 'noise body' in Portugese, is an art procedure that I developed from 2005 to 2014. This practice operates with the intention to destabilize and distort my experience and understanding of the body. 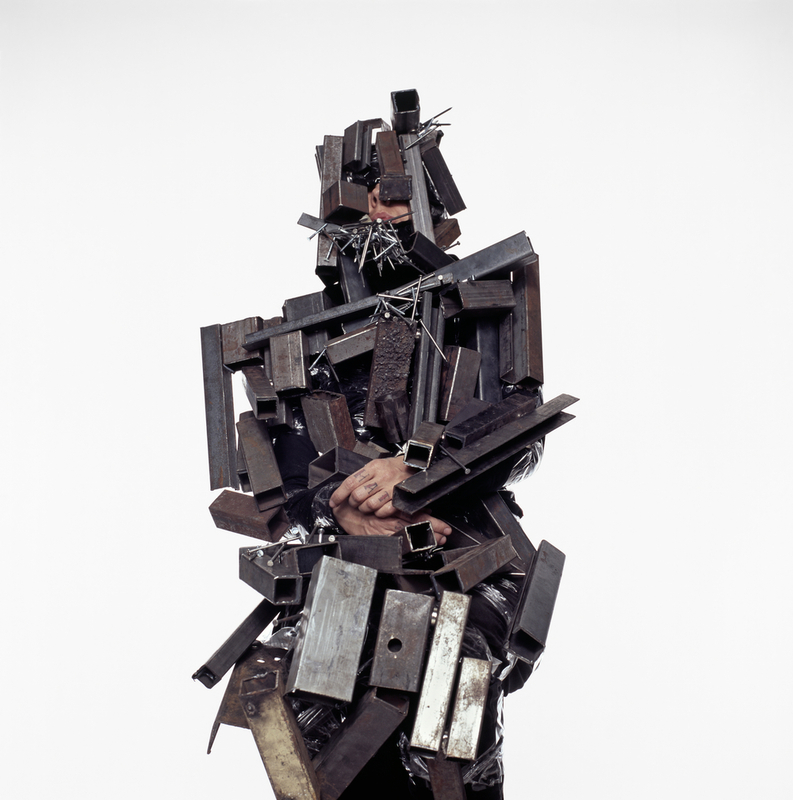 In my practice I have created a series of performances in which I cover my body with very strong magnets and have others performers cover the magnets attached to me with industrial iron scraps until my body disappears under this trash. The concept of "Noise Body" represents a body that is defined by a sum of three factors: precariousness, uncertainty, and risk. The magnets are elements of my work that serve to discuss the concept of forces. Not only of the invisible subjective kind, but also of the more evident, social type of forces that work to consolidate a system of power that ends up shaping bodies, feelings, subjectivities, and truths. In these performances I try to showcase bodies in disassembly, crumbling." Paula Garcia is a visual artist who holds a masters in Visual Arts FASM-Brazil and Bachelor of Arts FAAP-Brazil. 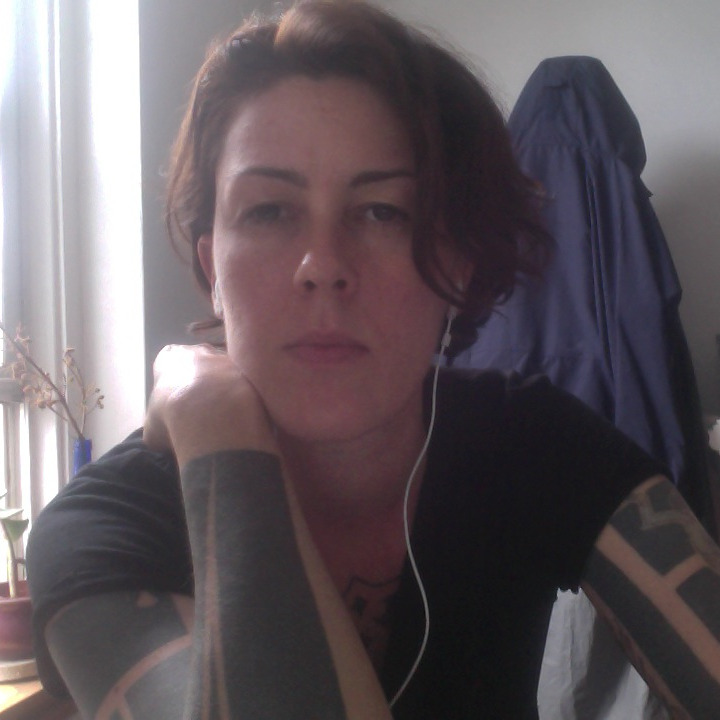 She has been a Marina Abramovic collaborator since 2011. In 2012, she researched and produced a trip with Abramovic to Brazil. She is also an associate producer of “The Current - Marina Abramovic and Brazil,” a documentary produced during trips to Brazil in 2012. Major exhibitions: The artist is an explorer - Curator: Marina Abramovic - Beyeler Foundation, Basel (2014); 7 Biennial El Museo del Barrio - Curators: Chus Martinez / Rocío Aranda-Alvarado / Raúl Zamudio - El Barrio Museum, New York (2013/2014); The Big Bang : The 19th Annual Watermill Center Summer Benefit – Curator: Robert Wilson - Walter Mill, New York (2012); 17º International Festival of Contemporary Art Videobrasil_SESC - SESC Belenzinho - SP; Performa Paço in Paço das Artes - SP - (2011); 6th edition of the Exhibition Annual Performance Vermelho Gallery - SP (2010), "Expanded Gallery" on Luciana Brito Gallery - SP (2010). Her website can be found here.